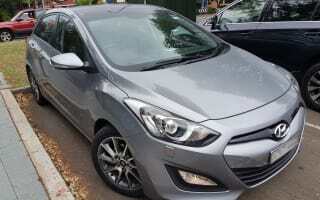 I purchased my Hyundai i30 SR in 2014, having compared it against a number of other cars in the warm-hatch class. I made my purchasing decision based (in no particular order) on features, performance, ride, value for money, reliability and time for delivery. Almost two and a half years on, I can say that I am happy with my purchase. From an ownership perspective, the car is cheap to run and has been mostly trouble-free. 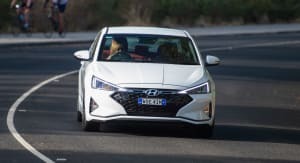 In mostly urban driving, the car averages around 8–9L/100km (around 500–550km a tank), which is pretty consistent with Hyundai’s fuel consumption claims. 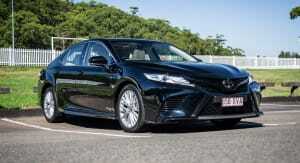 Out of town, the best I managed was 5.8L/100km on a run from Goulburn to Sydney’s northern suburbs. 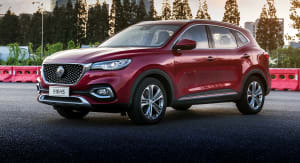 A typical country run will see the car average between high sixes and low/mid sevens, which is disappointing but relates to the car’s lacklustre performance at low revs (more on that below). Servicing has been very straightforward. I have received some mixed advice from different dealers as to how frequently the car should be serviced, though in accordance with the advice I have received from my current servicing dealer, it seems to get by fine without the intermediate services. Lifetime capped-price servicing came with the car, so servicing costs are predictable. 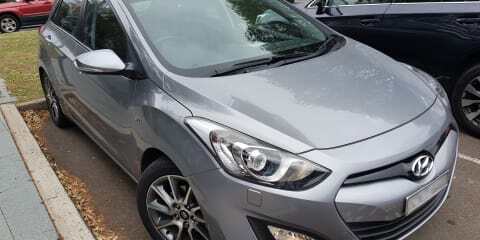 The i30 has been pretty reliable, though I have had a couple of minor issues. After about a year, the navigation/infotainment system began rebooting itself whenever I started the car. This issue was fixed with a software flash that took the dealer less than an hour to rectify. The other issue related to an inconsistent rattle in the roof. Initially, the dealer put it down to debris in the rails of the panoramic sunroof, but the issue persisted. After another trip to the dealer, the issue was linked to a broken clip that held the sunshade in place when retracted. A further three-day visit saw the roof-lining stripped and the clips fixed. While the issue was a minor irritation, I was impressed with the dealer’s service. They took the issue seriously and fixed it under warranty, while providing a free loan car for the duration of the fix. Other than that, no further issues have arisen. In terms of features and interior design, the car has been great. Aside from heated seats (which I believe became standard on the Series II model), the car lacks for nothing that I want or need. 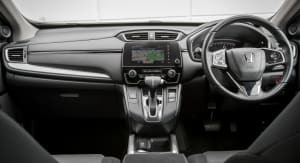 While the infotainment system does not have full smartphone integration, the sat-nav is clear, intuitive and works well (though the live traffic monitoring feature can be quite unreliable at times). Of particular note is the optional panoramic sunroof. Apart from the aforementioned issue, this feature completely transforms the ambience of the interior through the introduction of additional natural light. Unlike the fixed glass sunroofs on some of the i30’s competitors (such as the Toyota Corolla), the entire front section of the roof opens and is great on a warm day. When closed, the sunshade is also of a sufficient thickness to effectively block the sun. There are also other neat features such as the door and puddle lights and the automatic-folding mirrors, which I haven’t seen on competing models from other manufacturers. Despite the sunroof there is plenty of headspace, and though the driver’s seat position is higher than I’d like, I have no problem fitting my 6ft 2in frame behind the (height and rake adjustable) steering wheel. The front seats are both comfortable and supportive, and are comfortable over long distances (though for me at least, additional side bolstering would be welcome). On the topic of the seats, the synthetic leather interior is so-so. While it’s easy to clean and appears to wear pretty well, it looks a bit low-rent. While most interior elements consist of leather and soft-touch surfaces, some plastics lower down look cheap and are prone to scratching. The only other gripe with the car’s standard features are the HID headlights. While they generally deliver good low-beam spread and projection at higher speeds, the beam cut-off at low speeds is quite low and not adjustable. Most of the time this is not an issue, but it can be an irritation on unlit/low-speed roads (based on articles elsewhere, I don’t appear to be the only one who has noticed this). As for the car’s performance, I believe it can be summed up as adequate. Hyundai claims 0–100km/h in 7.7 seconds, though seat of the pants suggests around 8–8.5 seconds is closer to the mark. The SR is no GTi, and while I have no delusions about where the i30 SR sits in the performance-car hierarchy, the engine sorely misses the low-end torque of some of its turbocharged rivals. As a result, it has to be worked pretty hard to get the best out of it. 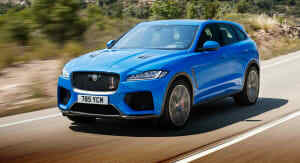 This is not entirely a bad thing, as the 2.0-litre motor is pretty rev-happy, but it doesn’t help fuel economy and acoustically it’s not terribly inspiring. In any case, it’s good enough for getting around town. In terms of how the SR steers, Flex Steer offers three different steering modes: Comfort mode is way too light and sensitive for my liking, and though most reviews I’ve seen prefer Normal, I’m happy with Sport. In any mode, however, the steering is almost entirely devoid of feel. The reworked suspension in the SR is a good trade between handling and comfort. In terms of ride quality, the SR soaks up most small bumps pretty well, though moderate or larger bumps do get noticeably transferred into the cabin. Compared to some of its competitors (including the Veloster SR Turbo), I was quite surprised how well the SR rides on Sydney’s pretty terrible roads. The set-up in the i30 SR also does a pretty good job at containing body roll up until about six- or seven-tenths, though the car will start to lean on its front outside tyre around this point. On the topic of rubber, the SR’s Nexen tyres are poor, particularly in the wet where they deliver no grip at all. This is a pretty common criticism for Hyundais, and one I was aware of before purchasing the car. After getting a flat (it’s worth noting that the boot contains a full-size alloy spare), I swapped my tyres for a set of Michelin Pilot Sport 3s, and this change massively improved the SR’s grip and handling capabilities, particularly in the wet. If you’re going to buy a used SR and the tyres need replacing sooner rather than later, I would strongly recommend budgeting for a set of quality tyres. As with the sunroof, they’re worth every cent. In summary, the i30 SR is a great car if you are looking for a relatively cheap, comfortable and reliable hatch that is easy to own and relatively decent to drive. If you can, be sure to find one with a panoramic sunroof and budget for a decent set of tyres (if a set isn’t already fitted).